From the Rocky Mountain News, Denver, Colorado, February 5, 2004. by Jean Torkelson. Mechanic Had Passion for Aircraft, Outdoors. Hundreds of people were expected Wednesday at a party to honor the life of airline mechanic and outdoorsman Ora George Barnum III, who died Saturday at age 45. Mr. Barnum began planning his own memorial party after learning about a year ago that he had inoperable cancer, said his wife, Anna Barnum. "That's the way he was," she said. "He wanted to take care of his business." Mr. Barnum was born in Denver but was raised in the Brighton area by his grandmother after both his parents died of cancer in the same year. He was just 17. By the time he graduated from Weld Central High School, he had become fascinated by all things airborne. Hoping to become an airline mechanic, he attended Colorado Aero Tech in Broomfield, his wife said. His first job was with the firm Pratt & Whitney in Connecticut. He then joined Continental Airlines and was eventually transferred back to Colorado. As the airline industry hit bumpy times, Mr. Barnum moved into maintenance engineering for two Denver-area businesses. But he jumped at the chance to return to an airline as soon as he could, joining Frontier five years ago. "He's done so many things . . . but he always loved being around the aircraft," said his wife, who met her future husband at a friend's house when they were both 19. 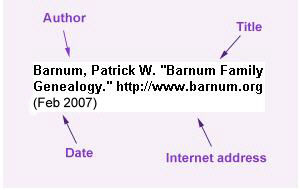 They have a son, Ora George IV, and a daughter, Audrey Ann, who was named after the grandmother who raised Mr. Barnum. The family enjoyed fishing, hunting, camping and "a lot of four-wheeling - anything we can do outside," Anna Barnum said. The Barnums had another favorite activity - throwing parties for their friends. Every Christmas they rented out the Green Valley Grange in Weld County for their annual Christmas party. And the grange was where Mr. Barnum wanted his family and friends to gather after his death. "What he wanted was for us to have a big party and celebrate his life afterwards," his wife said. For the event, the owner of the rural meeting hall donated the space. Such generosity was inspired by the man himself. "He had a heart of gold, but he wasn't afraid to say what he had on his mind," his wife said. "When it came down to it, he'd give you the shirt off his back." Before the party, an interment service was held at Crown Hill Cemetery.